The need to make time in our schedules for preventive-care appointments. Nearly two decades ago, I traded in my medical scrubs for business suits. While treating individual patients was rewarding, I realized I could make a greater impact by helping to cure problems across the healthcare industry at scale. Ultimately, I co-founded the digital health company Zocdoc to put technology to work solving patient problems outside the exam room, starting with doctor discovery and booking. But lately I’ve realized there is a side of the problem that technology won’t solve: a dangerous tension in our culture between work and health. As we all well know, employees can barely get away from their desks to have lunch these days, let alone to visit the doctor. At Zocdoc, where we focus on healthcare access for patients every day, we discovered that only one-third of our employees were going to the doctor for important preventive care appointments, like getting their blood pressure and cholesterol checked. When I asked our team members why they were putting off their proactive check-ups, the resounding answer was: work gets in the way. A survey we recently conducted with Kelton Global revealed that it’s not just our company: 60 percent of American workers feel uncomfortable leaving work for preventive care, with half saying that their employer or company culture has made them feel that way. As a result, nearly nine in 10 employees say they would cancel or delay a preventive care appointment due to workplace pressures. As both a physician and a CEO, I’m deeply troubled by this, and it’s clear to me that it needs to be a leadership priority to change this ingrained behavior. Businesses are paying millions of dollars for health plans that include preventive services, and many progressive companies also provide wellness programs and other health incentives. We’re putting a lot of money and a lot of lip service into the well-being of our workforce, but if the work environment is not conducive to taking action, we’re falling down on the job. I want to change that. That’s why Zocdoc has introduced a new initiative called Unsick Day for 2017. We’re asking companies to give their employees a new type of day off from work — without penalty and with explicit permission — to visit the doctor for preventive care. We are also asking CEOs and executives across the country to lead by example, by taking an Unsick Day themselves, and send the signal that this is encouraged and expected. I plan to be visibly absent and step out of the office for a physical in the coming months, and I’m encouraging my employees to do the same. The bottom line? It’s not enough for employers to simply offer insurance. Employers can and should be more proactive in empowering employees to get the care they need. 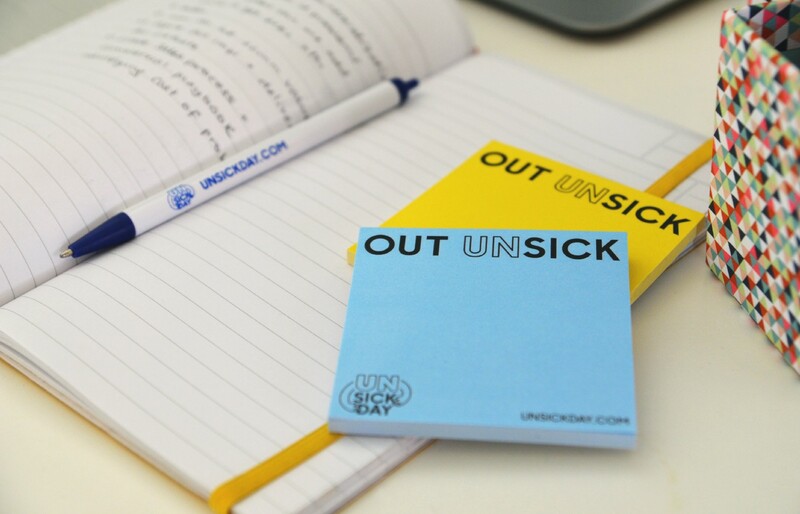 Learn more about how to give or ask for an Unsick Day at www.unsickday.com.